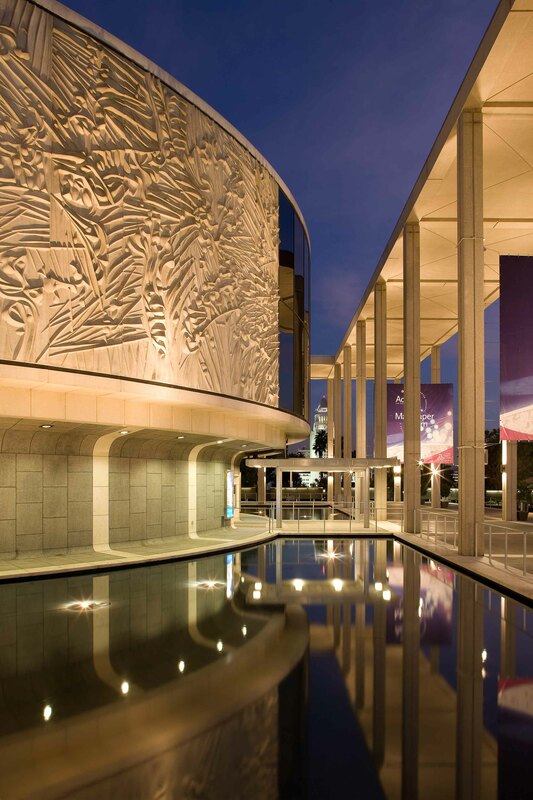 Forty years after first opening its doors, it was time for the Mark Taper Forum, one of Los Angeles’ most iconic public buildings designed by Welton Becket in 1967 to receive a major interior renovation. 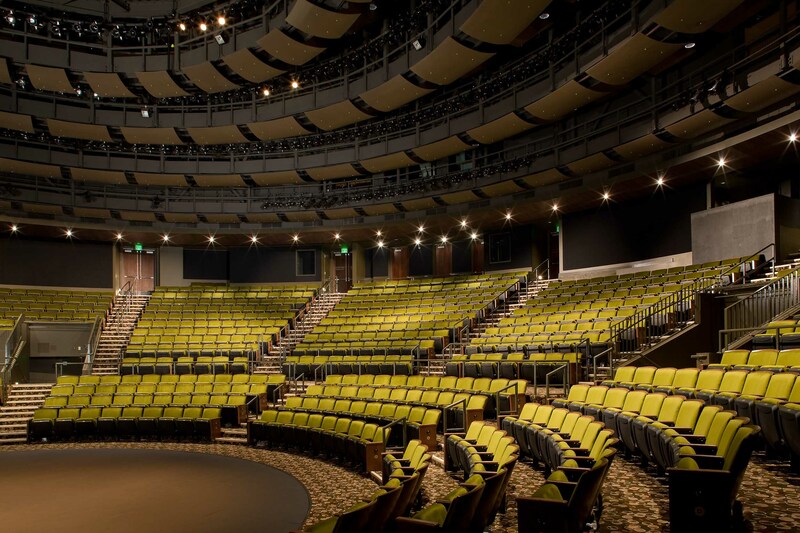 By preserving the intimacy of its signature thrust stage, the design showcases iconic sculptural elements both inside and out, adds a touch of glamour, and provides better accessibility with new spaces and visitor amenities that support programs and events. The project replaced all building and theatrical systems with state of the art technology and radically improved audience amenities. 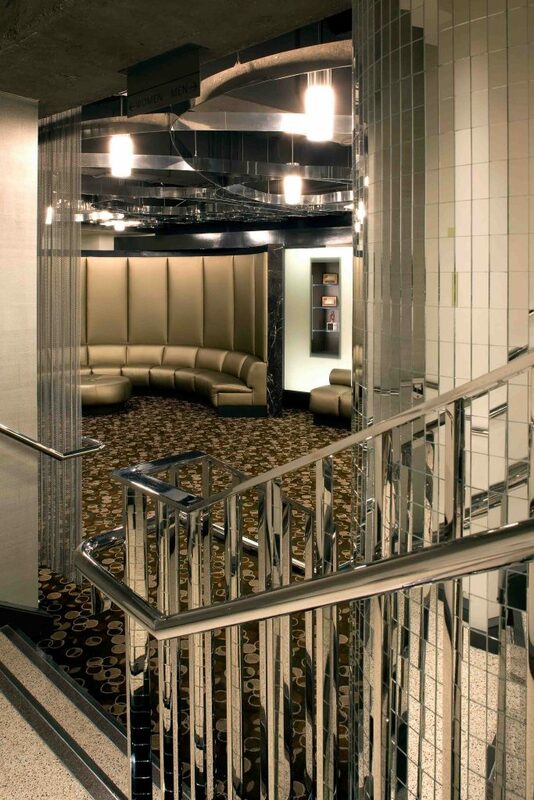 The backstage area – including dressing rooms, wardrobe, green room, etc. — was also expanded and rebuilt. 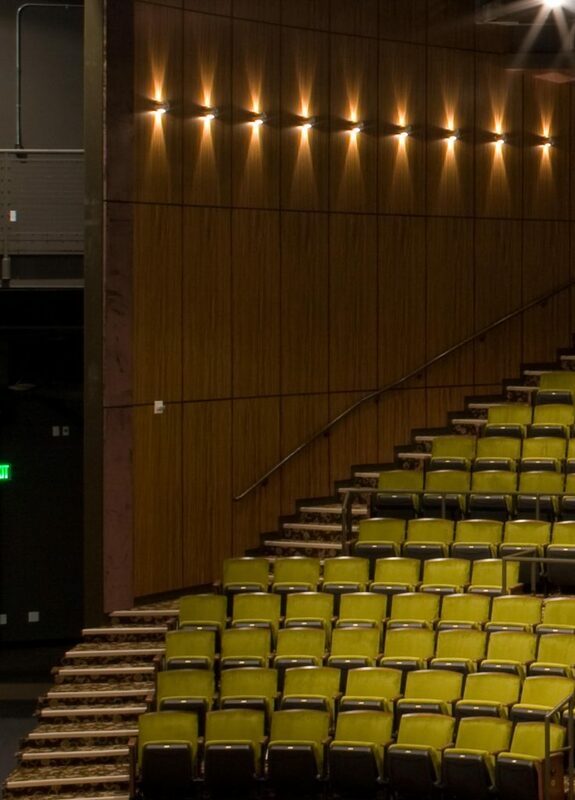 Inside the theater, new seating, wall finishes, lighting, and a custom designed carpet elevate the experience for the audience and create a much more accessible facility. In the lobby, the size of the ticket booth was reduced and new, significantly larger restrooms were created in a new lower level lounge. 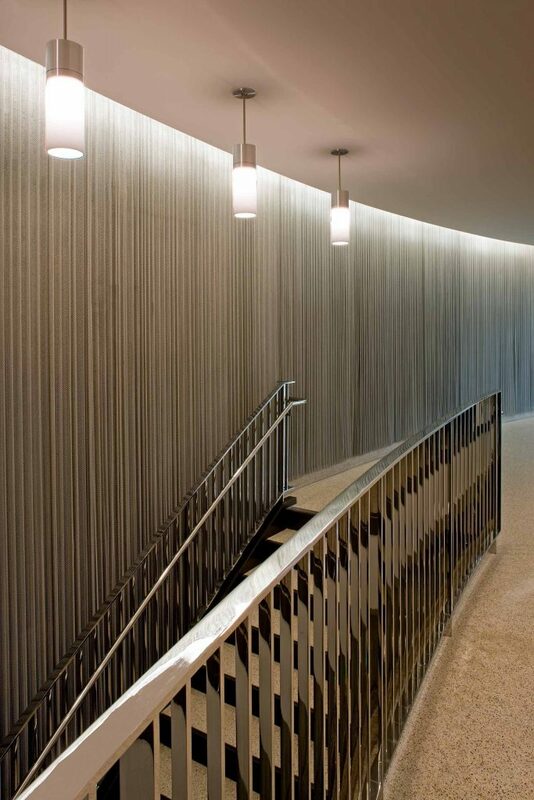 These two gestures enabled us to expand the lobby and create an accessible entryway, and shine a new light on the original Tony Duquette abalone wall mural. 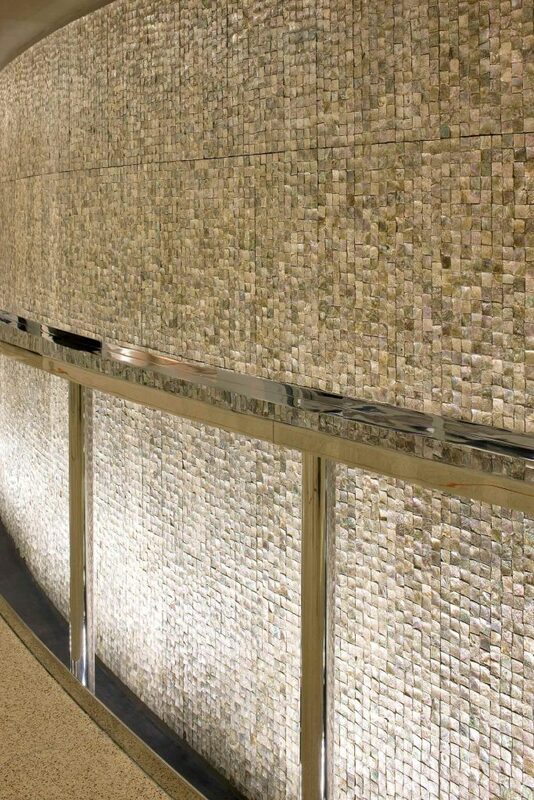 A stainless-steel, flat-top guardrail protects the abalone tiles while offering guests a place to set their drinks during intermission. 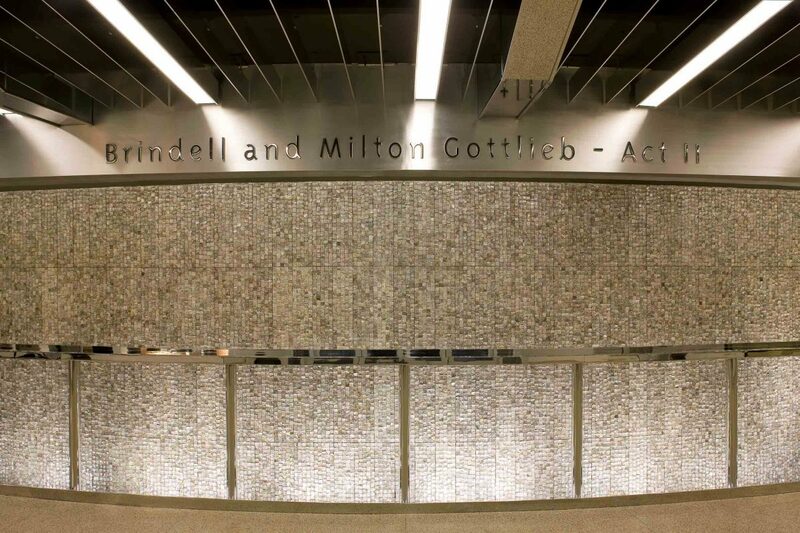 A metal mesh curtain draped over interior concrete walls and a polished stainless-steel guardrail guides visitors down the staircase to a new lower-level lounge. 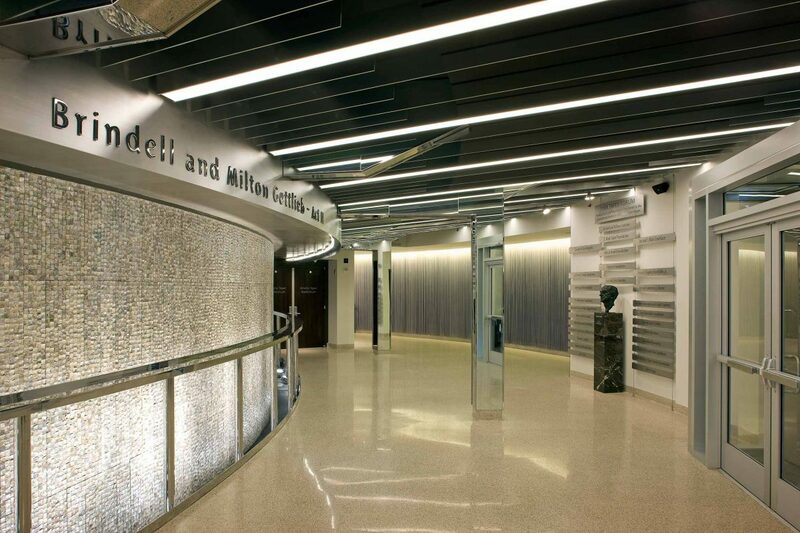 The new lower level lounge was an essential part of the renovation and was created by transforming a portion of the parking garage into an inviting space. 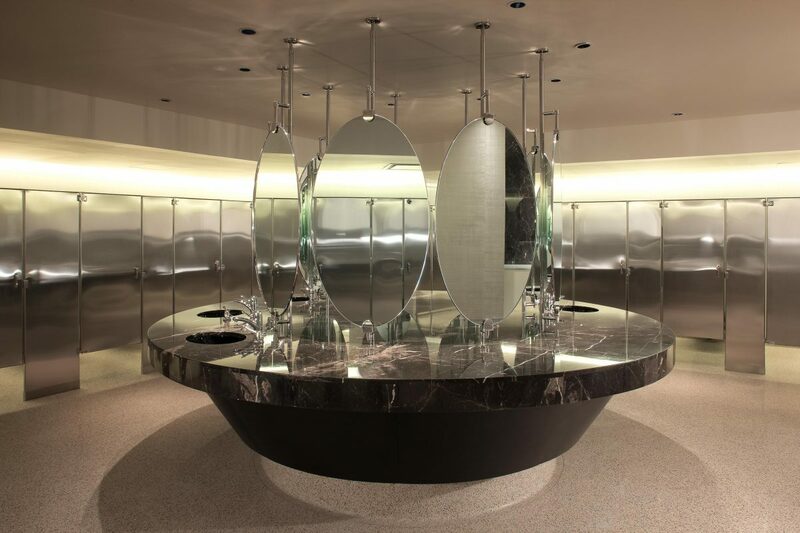 The generous restroom facilities for men and women reduced wait times before, during, and after the performance, and allowed patrons to enjoy more of their visit. The Forum’s theater-in-the-round shape, combined with our childhood love of Spirograph patterns, inspired the addition of the filigree pattern to the lounge’s ceiling, creating an elegant and cohesive identity for the new space. 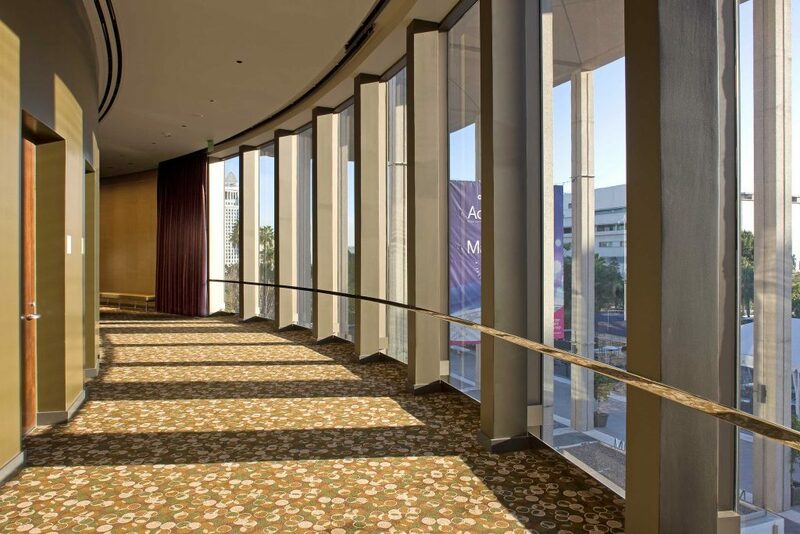 Circular seating areas and lighting fixtures echo the building’s drum-like shape. As a testament to creativity informing and inspiring many disciplines within the studios, we developed a set of patterned plates for notNeutral along the way.